MOST IMPORTANT: Don’t miss any of your court dates without being excused by the judge, prosecutor, public defender or your lawyer in advance of your court date. 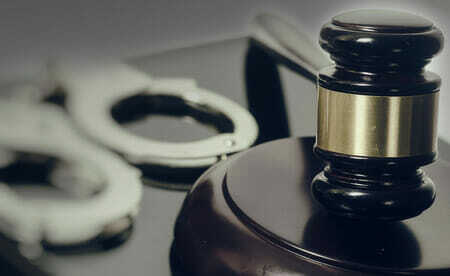 For criminal cases, not appearing in court will most likely result in the court issuing a summons or bench warrant for your arrest and your bond being forfeited. You may also be held in contempt of court. If you do miss your court date, contact our Dallas Bail Bonds office immediately – our bondsmen can help you get your bond reinstated as long as you contact us quickly. The longer you wait, the more difficult it will be to get the reinstatement! If you are driving to court in Dallas County, be sure to allow ample time for parking, and be sure to bring money for parking. If parking in a lot, be prepared to pay up to $10 dollars per day, depending on where you park. Parking near the Lew Sterrett Justice Center ranges in price from $2 to $5 dollars per day. Parking near the court buildings downtown are a little higher. Make sure you know which court you must appear in. If you are unsure, call our office – we will be happy to provide that information to you. Make sure you get your court information ahead of time. Once you arrive at the court building, there will be directories and signs that will help you find the correct courtroom. You can also ask at the information booth. While there is no written dress code for the courtrooms, certain attire is not considered suitable. This includes shorts, sagging pants, caps or hats, swimsuits, tank tops, flip-flops, halter tops, or other “revealing” clothing. Remember: the impression you present goes a LONG way! Non-prescription dark glasses and hats must be removed once you enter the courtrooms. You may also want to bring a light jacket or sweater as many of the courtrooms are air conditioned. Be sure to place your cell phone on silent while in the courtroom, and do not make or answer phone calls or text messages. Even placing a phone on vibrate should not be considered because most phones can still be heard when they vibrate. When court is in session, you should refrain from reading, talking, chewing gum, using earphones or any other electronic devices, making distracting noises or any other inappropriate conduct. The purpose of the metal detectors is to provide protection for the public and court personnel. Any object which could be classified as a weapon, including pocket knives, cannot be brought into the building, and will be confiscated by the Sheriff’s Office until you leave the building. And of course any illegal weapons will be confiscated. If you have any questions about your court appearance, please contact our Dallas Bail Bonds office at Southern Bail Bonds 24 hours a day, 7 days a week. Our phone number is 214-372-2500. We’ll be happy to answer your Bail Bonds Dallas questions!